We’re passionate about bringing together a movement of everyday people to use their time and talents along with a lot of sweat and muscle to drive powerful change. 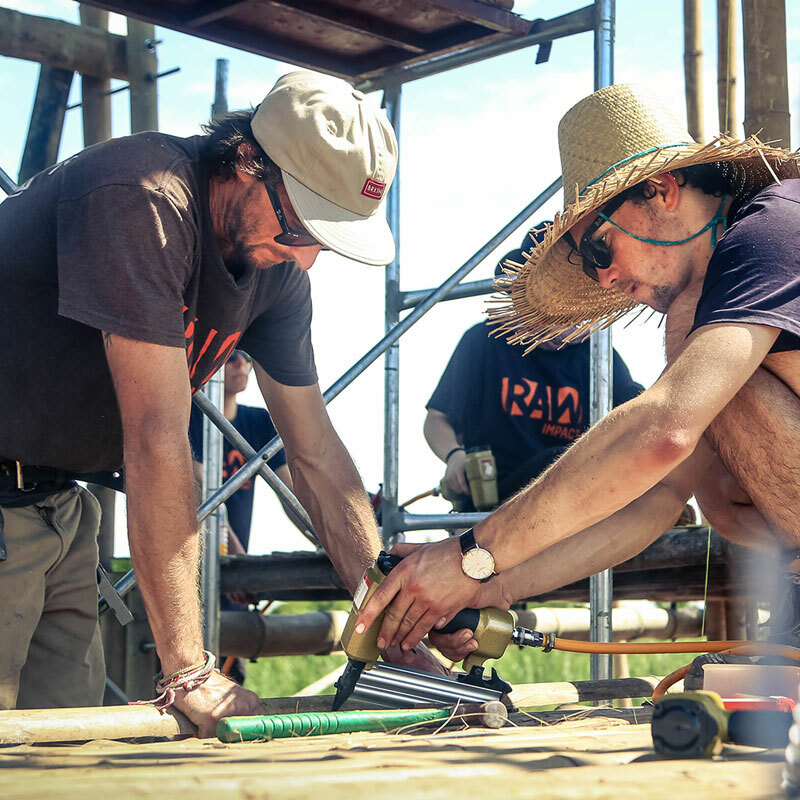 RAW Impact has established itself as a leading organisation facilitating engaging project-service trip experiences. 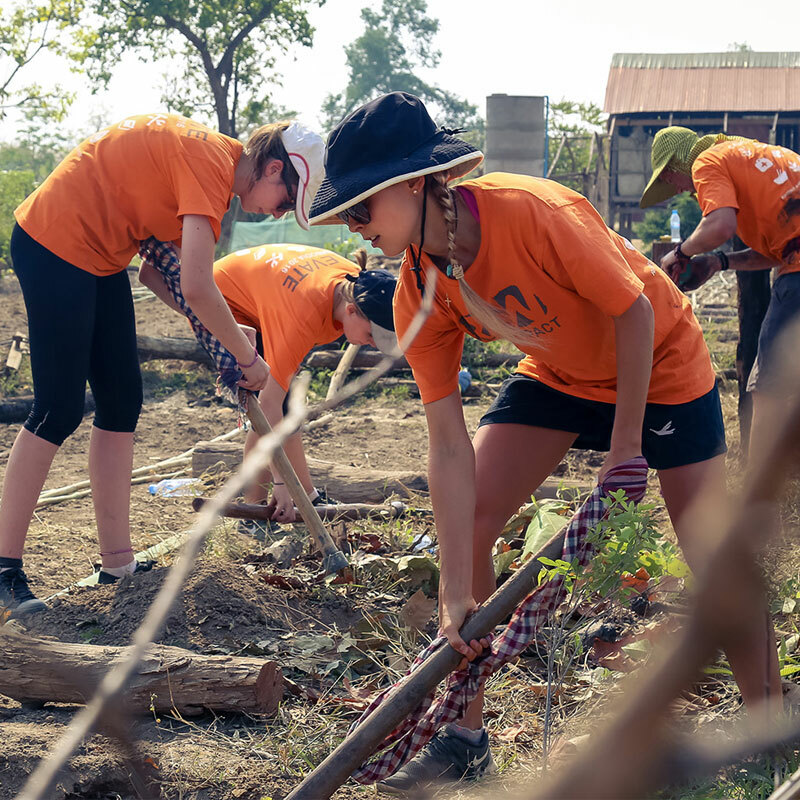 Volunteers generally participate in a 10-12 day journey of cultural immersion and community focused volunteer work where they make a real impact. Centre your youth, young adults and families on the heartbeat of the gospel which is Service. Get hands-on and facilitate spiritual, personal and community growth and drive powerful change together! How many would we need to bring our own team trip? A minimum of 10 and a maximum of 50 people. Could we request a speaker? Absolutely! We have several people on our team who have worked as Pastors so we’d be available to come and share stories, pics and opportunities with your congregation. What sort of projects could we support? Just about all of our projects are up for grabs so anything from sponsoring large scale programs like new school buildings, to supporting one of our Every Piece Matters families with a new house or getting behind our local villagers to provide livelihoods and training. There’s nothing like the feeling of building a culture of purpose through serving others. Those in your organisation will thrive from coming together to tackle something much bigger than themselves and in the process become closer and better for it! How could we share a trip opportunity? We have a team in Australia who are available to come and share in person or via Skype (for those outside Australia). Our creative team can provide custom messaging with media assets to share online. What sorts of projects could we get behind? Our media team on the ground will provide regular pics, clips and updates for you to share with your members. We’re also able to provide guest speakers or Skype updates. Gather your mates for the adventure of a lifetime and make a difference! You thought you knew your mates well but when a group of people embark on a journey to change lives together, there’s nothing like the bonds of friendship which are forged and deepened through the fire of incredible, challenging and life-changing experiences! How many mates would I need to make a team? A minimum of 10 and maximum of 50 mates could make up a team. Absolutely! 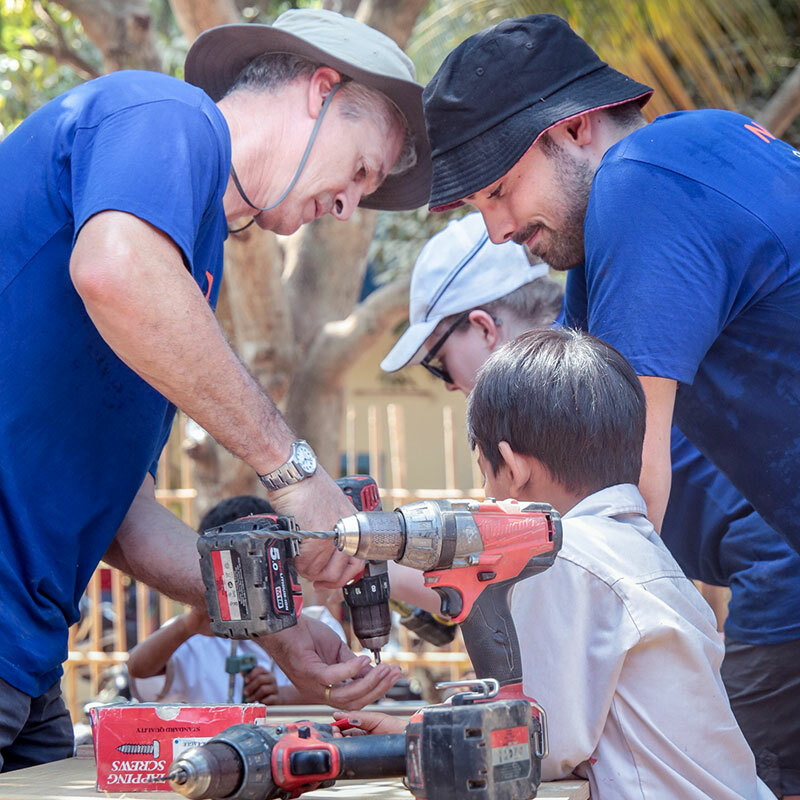 We work with you to customise the itinerary to suit your crew – We can change it up with projects and include add-ons after the project phase like a trip to the ocean or some time in Siem Reap to explore the Angkor Wat Temples. Would we need a team leader? Yes, that could be you or a small group who will champion your team and assist us with preparing your crew and helping to lead on the ground during the trip. VOLUNTEERING WITH RAW IMPACT WAS AN AMAZING EXPERIENCE! 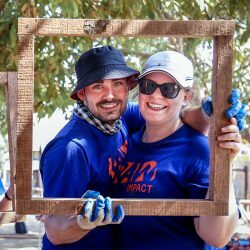 IT WAS A CHANCE TO DO WORK THAT WAS REALLY MEANINGFUL, AND CONTRIBUTE TO AN ORGANISATION THAT DOES DEVELOPMENT WORK IN A SUSTAINABLE AND COMMUNITY-MINDED WAY. IT WAS SUCH AN IMPACTING EXPERIENCE FOR ME THAT I’VE ALREADY SIGNED UP FOR MY NEXT TRIP!